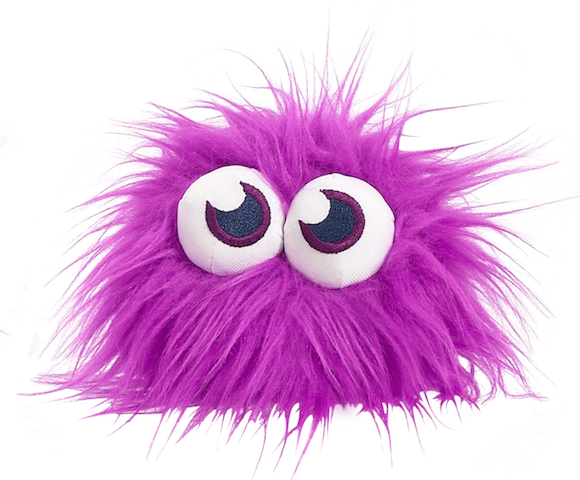 Moshi Monsters Merchandise in UK stores! The on-line social gaming world of Moshi Monsters is coming out of cyberspace and entering the real world. Last week was the London Toy Fair and Mind Candy took this opportunity to launch their latest Moshi Monster range of toys and games in conjunction with Vivid Group who are based out of Guildford in the UK (definitely not to be confused with Vivid Entertainment out of LA). Firebox and who has taken social gaming forchildren to the next level so that now 1 in 3 kids in the UK (between 6 and 12) have an on-line Moshi Monster and over 30m worldwide (in 150 countries), that’s a growth of over 3m users in just under 4 months. The toys extend the age range to between 4 and 12 so on-line players can attract their siblings who aren’t yet computer literate. Moshi Monsters has also now now overtaken Club Penguin in terms of visitors and Alexa rankings. Collectable Figures – these come in two varieties, blind bags for £1.99 which contain 2 Moshlings and a character card, and a bumper pack containing 5 Moshlings for £4.99. There are 48 Moshlings to collect in total (some being quite rare).You don’t know what you’re getting in a blind bag while the bumper packs contain 4 known Moshlings and 1 secret one. Backpack Buddies – more Moshlings for £4.99 which have clips on them so they can be attached to school packs or elsewhere. 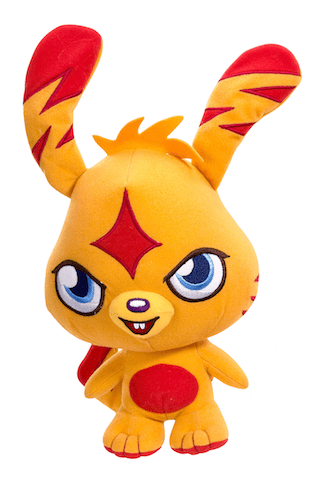 Mosh n’Chat – these are available as Poppet and Katsuma for £24.99 each and will talk to you in the Moshi Monster language when talked to and can also act as a “room guard” sensing when people come in. Moshling Tree House – a place to store your Moshlings for £19.99 which has secret hideways and a basket lift for Moshlings to play on. It also comes with an exclusive Moshling called Roxy. Gold Collection Moshlings – this is a limited edition product for £9.99 containing 8 ultra rare golden Moshlings in a gold storage tin. Mini Monster Pack – each pack holds 3 semi articulated Moshi Monsters and costs £9.99 and there are two packs to buy (i.e. 6 Monsters in total). Each of the toys also contains a secret password to unlock features on the Moshi Monster’s site. These are all now available for all Moshi Monster addicts and their families at a retail outlet near you. Next Next post: Robert Llewellyn reviews Parrot’s AR Drone! The iggy is okkaaaayy but the katsuma is really flat and creepy.